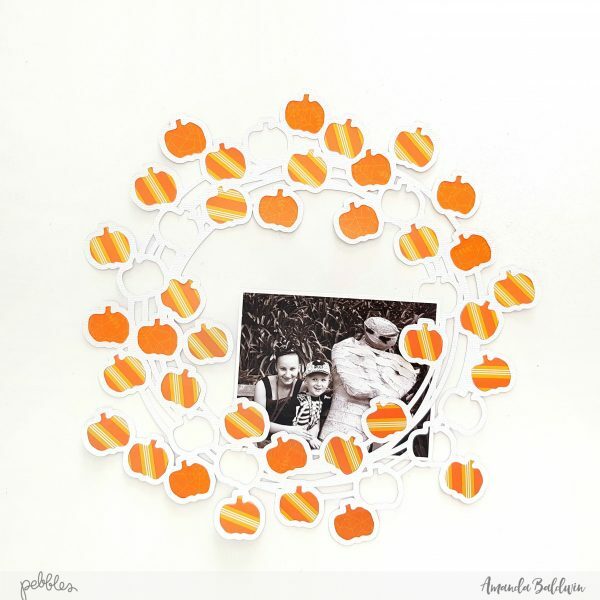 Halloween Archives - Pebbles, Inc.
Hello everyone! It’s Eva Pizarro on the blog today sharing with you some fun treat boxes made with the new Spooky Boo line from Pebbles. 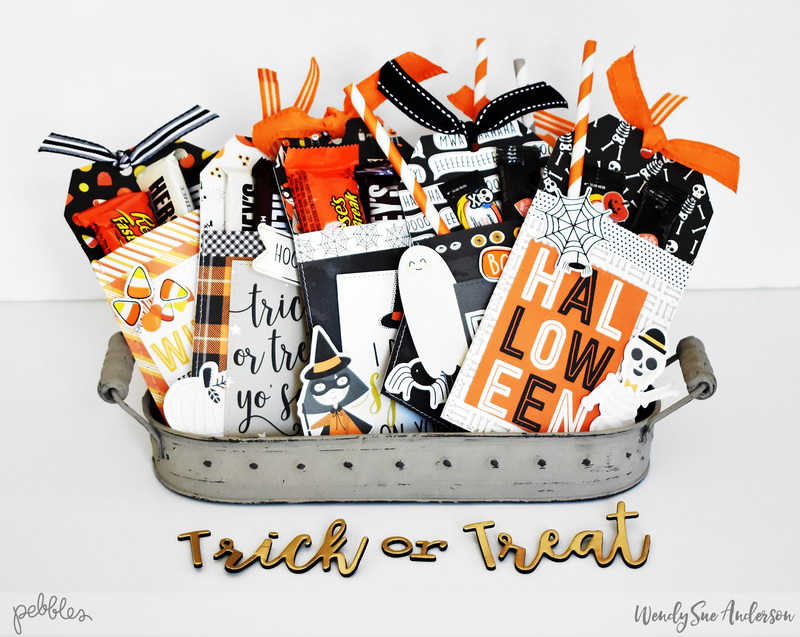 We always have candy for the kids during Halloween but I always like to give my closest friends some treat boxes during Halloween. 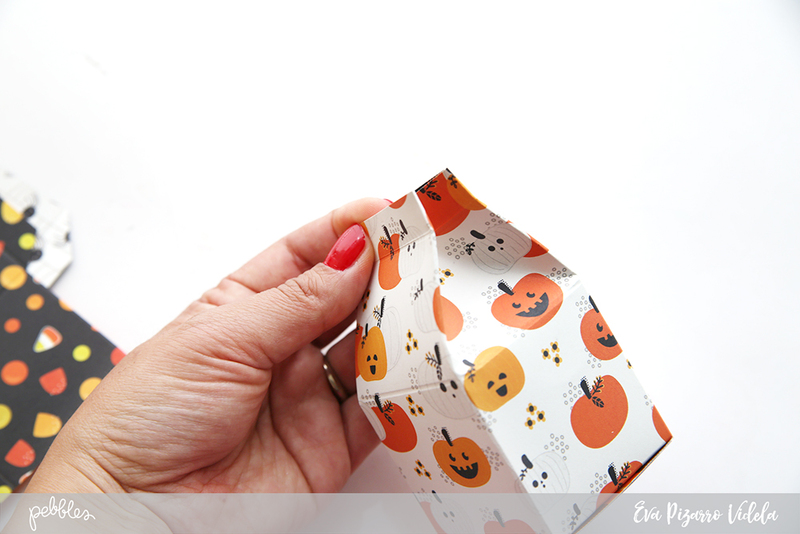 These ones are perfect because they are easy, fun and you can make them in just a few minutes. Start with a 6-inch x 8 1/2 inch paper and use your Trim and Score Board to score at 2, 4, 6 and 8 inches on the long side. And 2, 4, 5.5 inches on the short side. 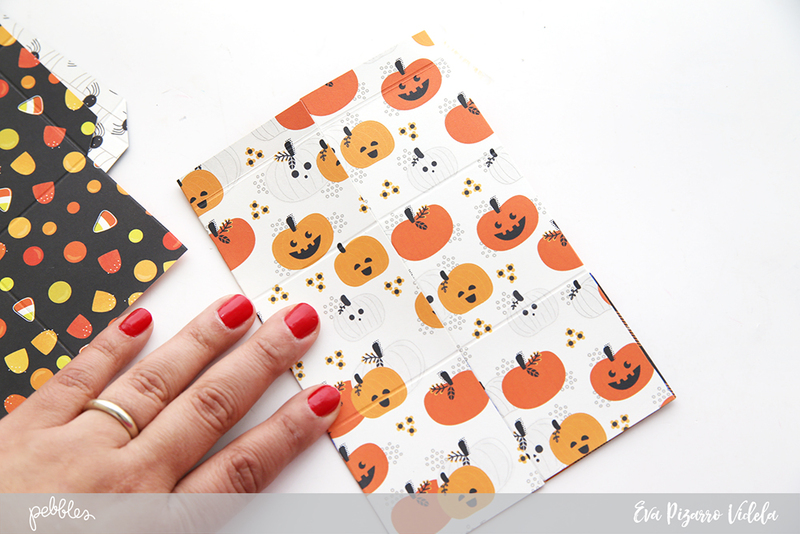 Place a bit of glue to your tab and close the box in half to adhere the tab to the other end of the box. Next, add a bit more glue to the bottom of the box and close all four sides. Finally, take the tops and close them like a milk carton using a clip. 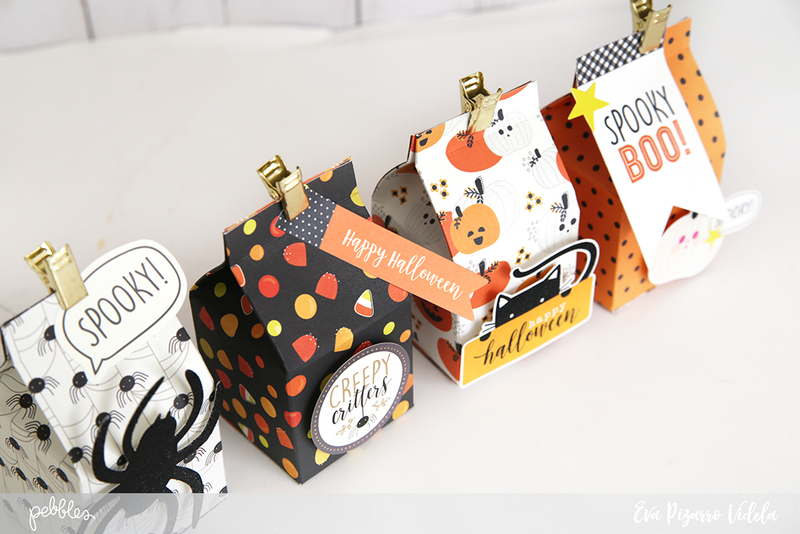 To decorate my boxes I used some stickers, die cuts and those cut spiders! 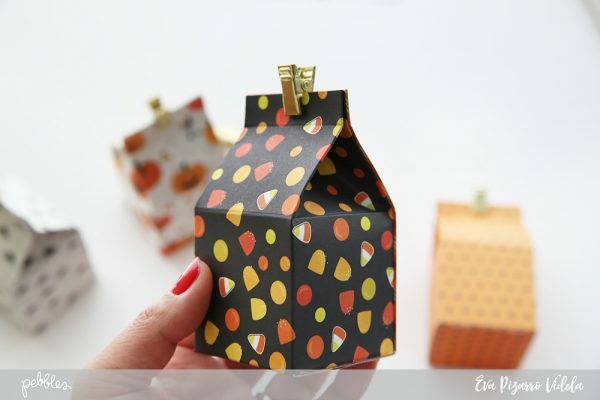 You can also cut a patterned paper that has tags and use them to embellish your boxes! Now all you have to do is fill the boxes, I used sweets for these photos but you can add some good chocolates, I am sure everybody is going to appreciate that Halloween treat! And here are all my boxes done, they are cute and very easy to make. 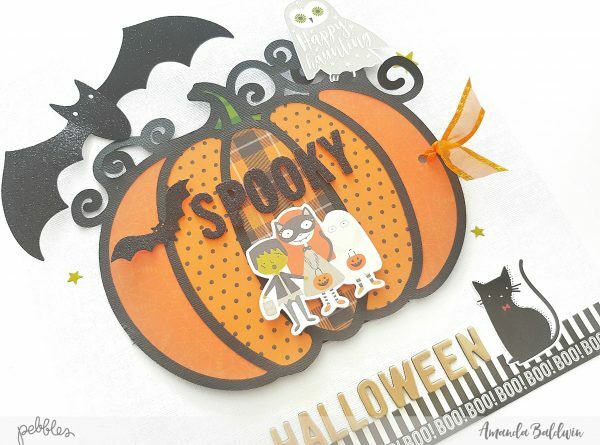 You can give them to coworkers or also put names and use them as place cards for a Halloween party, that would be fun! Do you give special treats for grown-ups during Halloween? Hello Pebbles fans! Hope you all are having a great day! 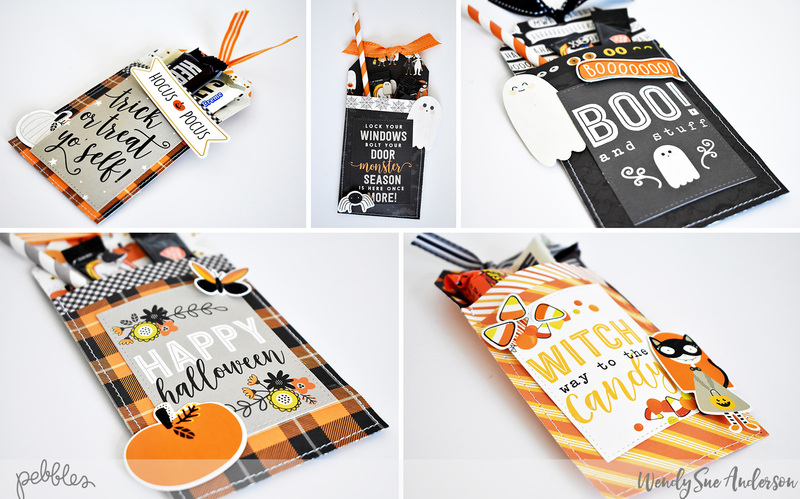 Yesterday I had only fifteen minutes for making something with my hands, and I decided to do some super easy Halloween tags. Halloween is not the most popular holiday here in Finland, but those funny spiders, dark black and bright orange are lifting my spirit to celebration mood! 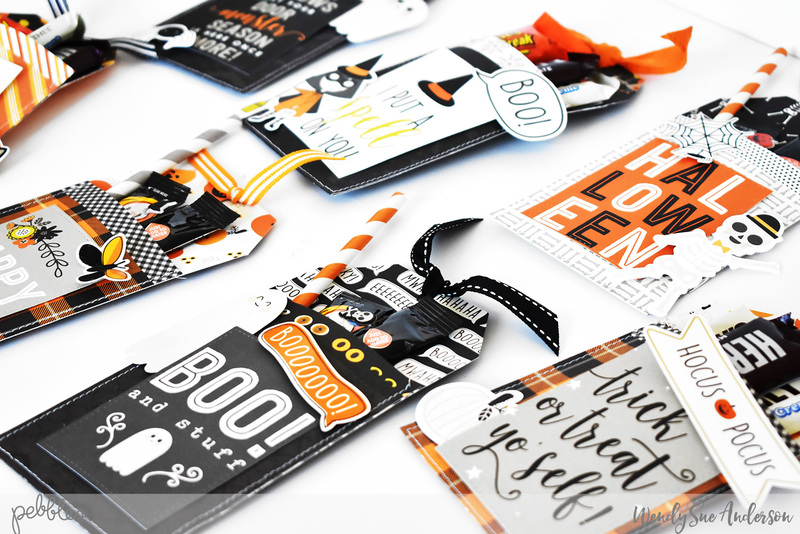 That’s why I wanted to have some Halloween tags ready to give away for friends, just to make their days as happy as mine. The creating process is very simple. 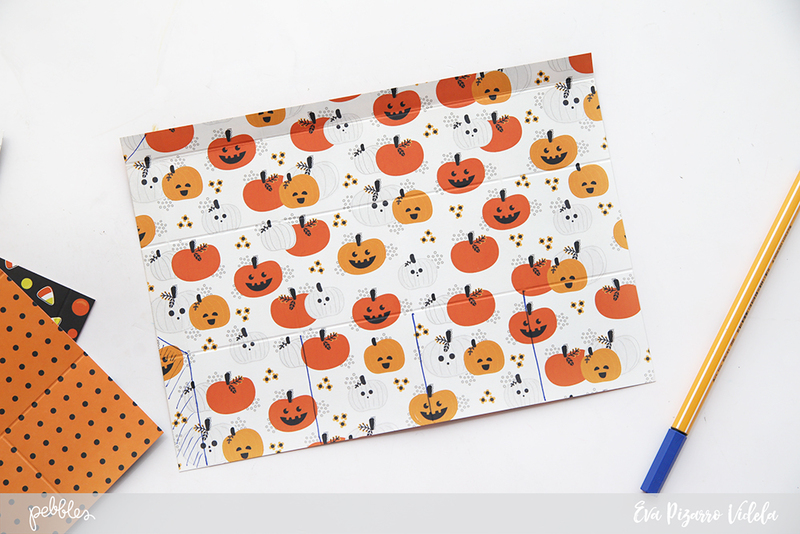 Start by cutting out one of the Spooky Boo patterned papers (Spooky Boo “Eek” Patterned Paper) to tag shape. Cut another patterned paper (Spooky Boo “Hocus Pocus” Patterned Paper) to smaller pieces than your tag and adhere one piece on top of the tag using double sided tape. 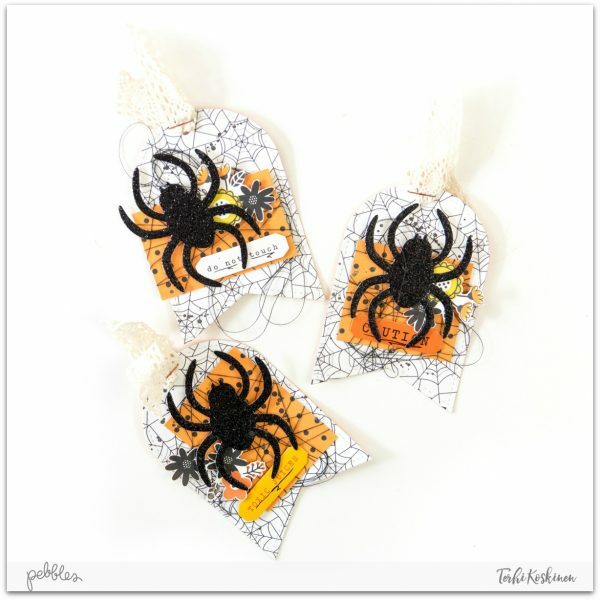 Wrap the tag now with black thread to make “spider web” look, and then place a wall spider (Spooky Boo Adhesive Wall Spiders) on top. 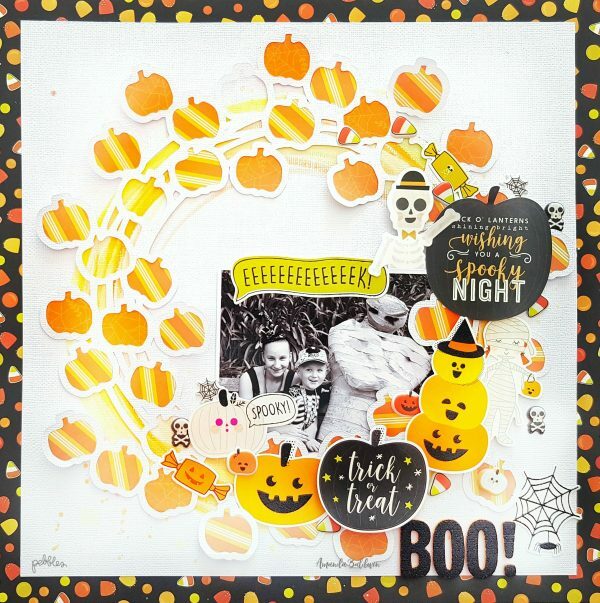 I also added one phrase sticker (Spooky Boo Cardstock Stickers) to each, and fussy cut flowers (Spooky Boo “Hocus Pocus” Patterned Paper) to bring more detail. I don’t think creating could get any easier. 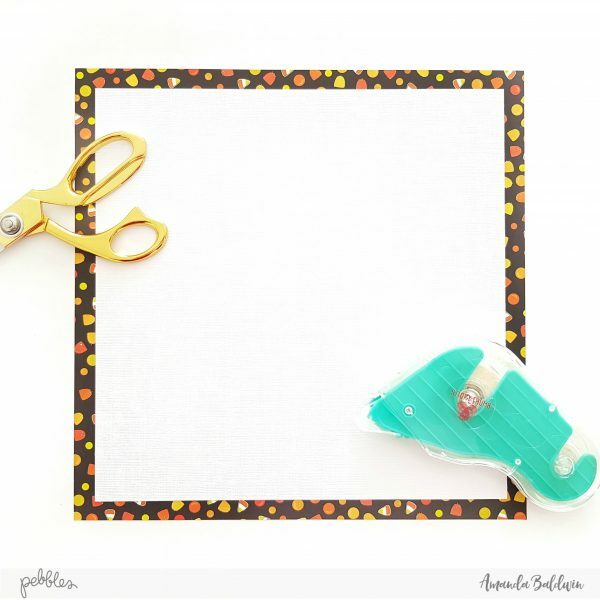 Yet, you’ll get some handmade creations to giveaway! 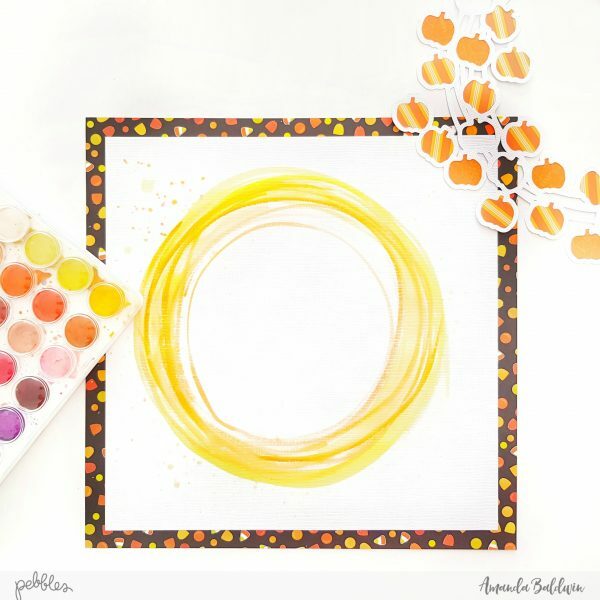 Hope this quick and easy post inspires you to create something fun today! 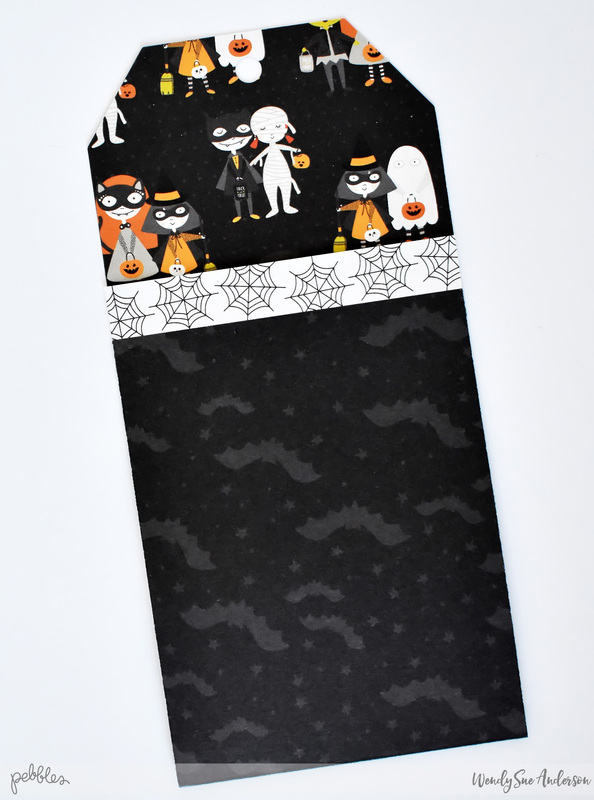 Spooky Boo! 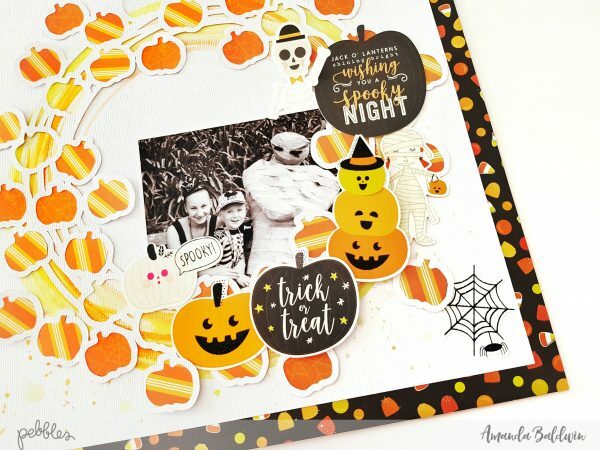 Interactive Halloween Layout & Process Video! 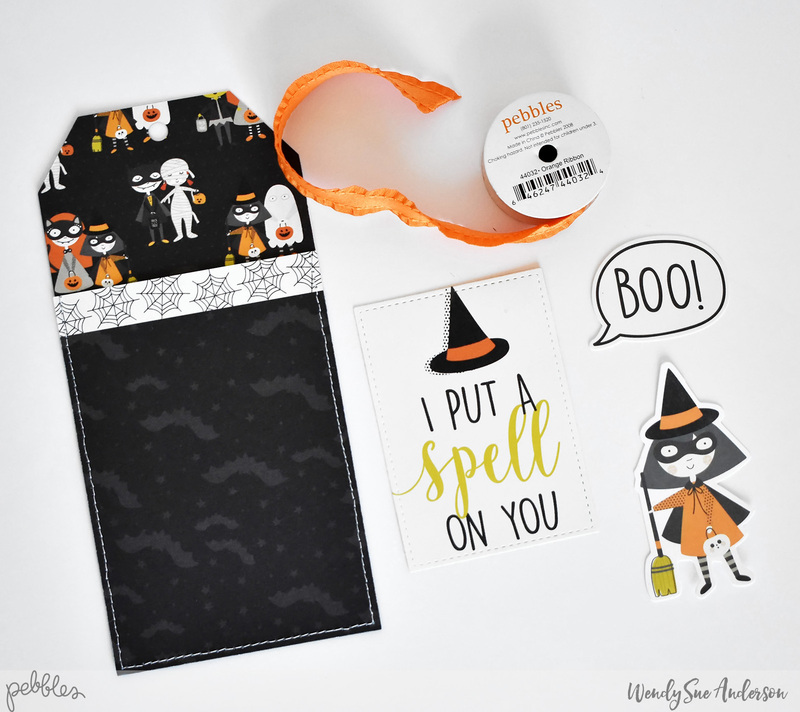 Amanda here, and I am so SUPER excited to be sharing my Spooky Boo! 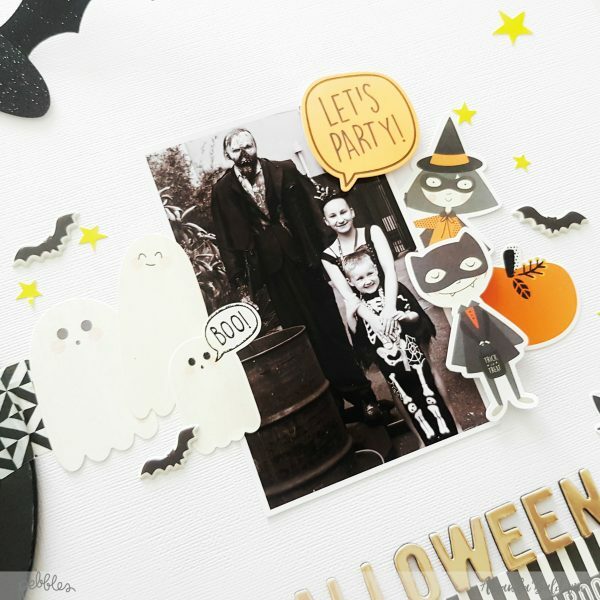 interactive Halloween layout & process video with you all today! 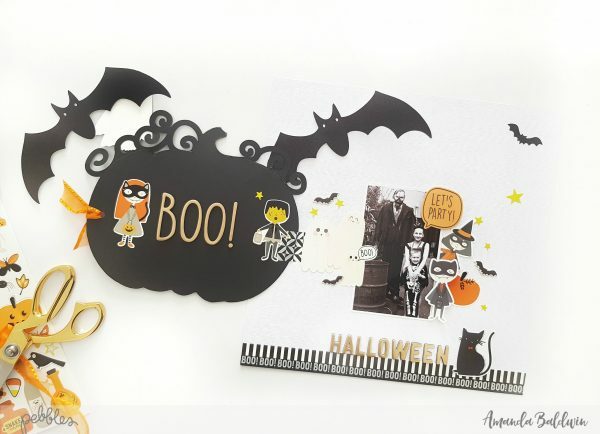 Halloween is such a fun Holiday, and the Spooky Boo collection is perfect for documenting those happy haunting moments! Isn’t this fun!!! 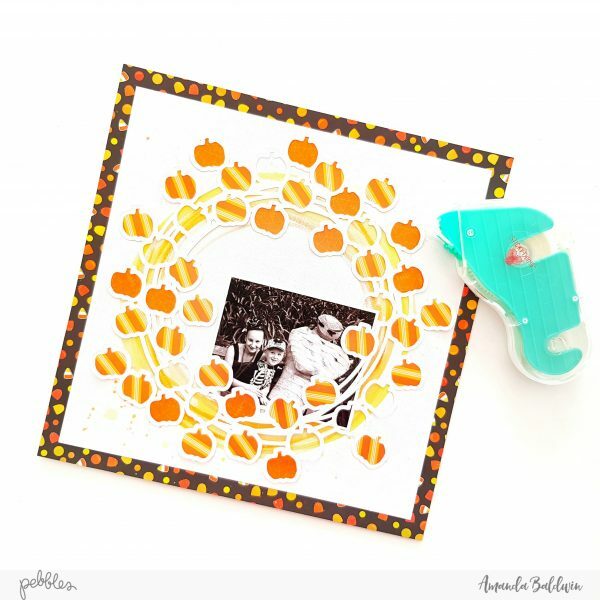 I just adore that mix of orange pattern papers on the pumpkin cut file! 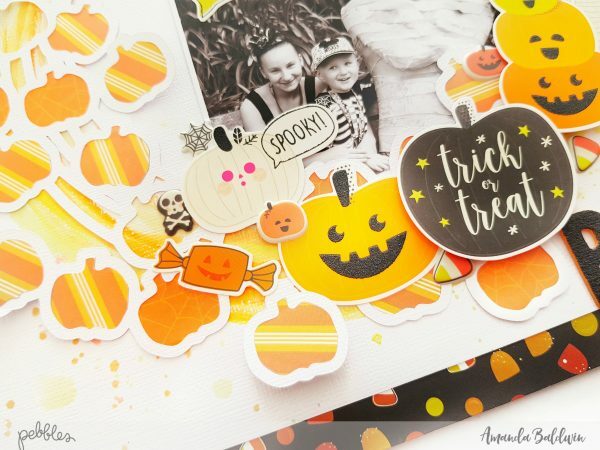 And the interactive Halloween ‘trick’ element comes into play as we lift the pumpkin flap…..
To reveal a surprise BOO!!!! 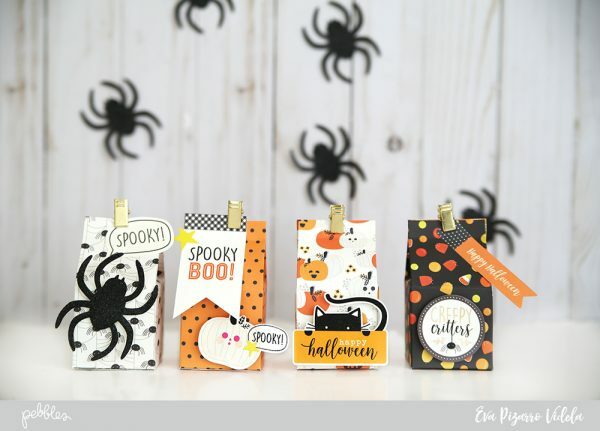 I just love how super cute & fun this is! & all those sparkly black glitter embellishments!!! Gorgeous! 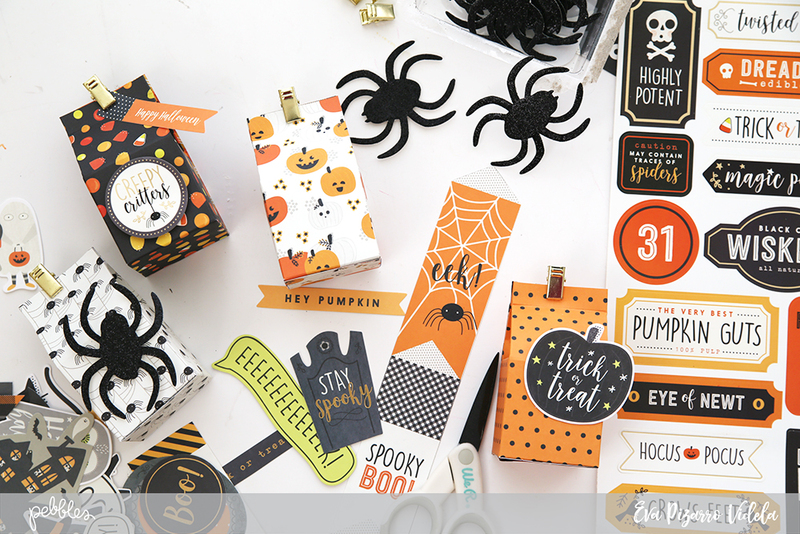 Everything in this collection is so perfectly designed to meet all your Halloween crafting needs! Aww! How sweet are my two trick’o’treaters?!! 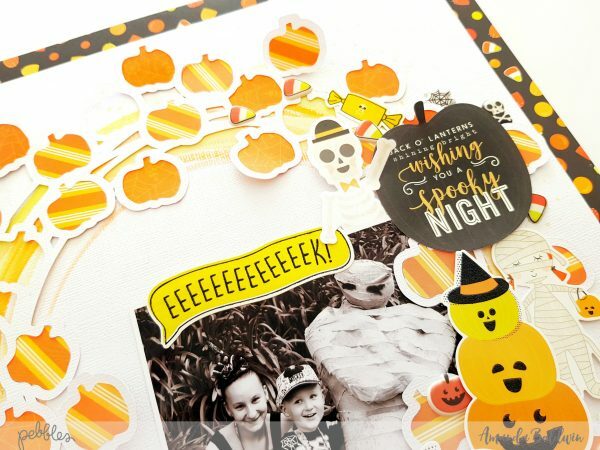 Join me in this short process video, as I take you from start to finish with this Spook-tacular page! I really hope you enjoy watching! 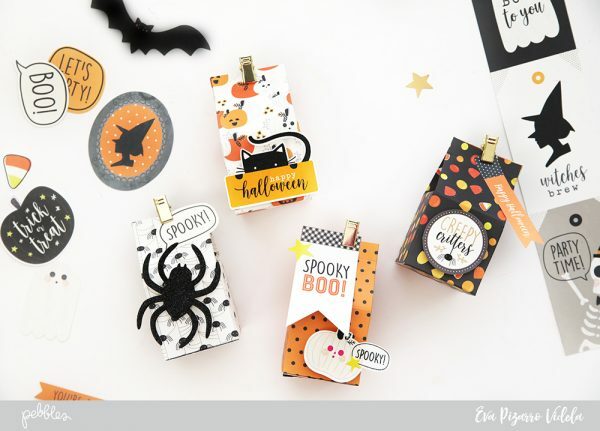 As far as I’m concerned, one can never have too many treats ready to share for Halloween, which is why I’m sharing another quick and easy project today – Halloween Treat Pocket Tags! What, you’ve never heard of a pocket tag? Well, let me show you!! 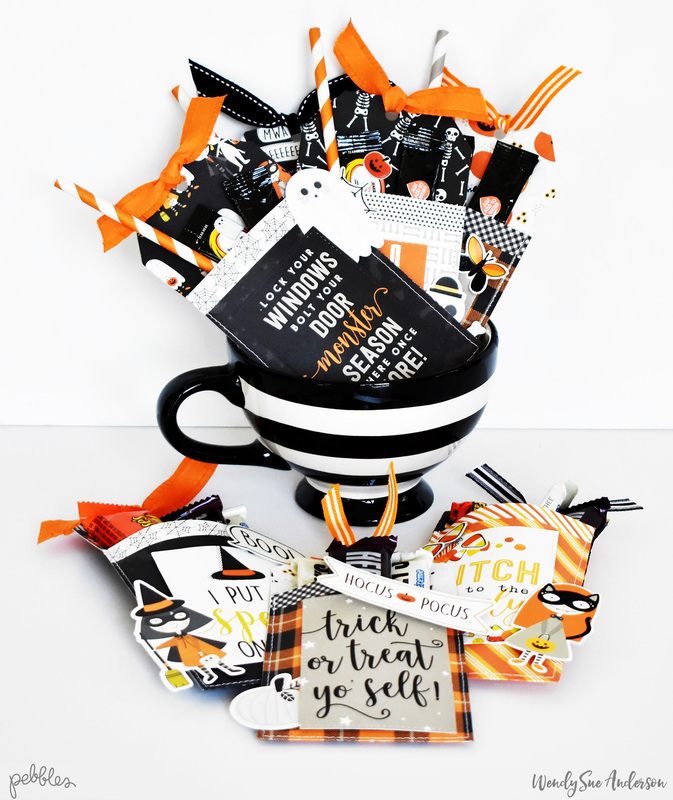 It’s literally an oversized tag, folded into a pocket, and filled with treats! They are so fun and easy to make – and even though it looks like I used three different patterned papers for each pocket tag, it’s only ONE paper! Let me show you how I made them! Next, I used my sewing machine to stitch around the folded portion to create a pocket. 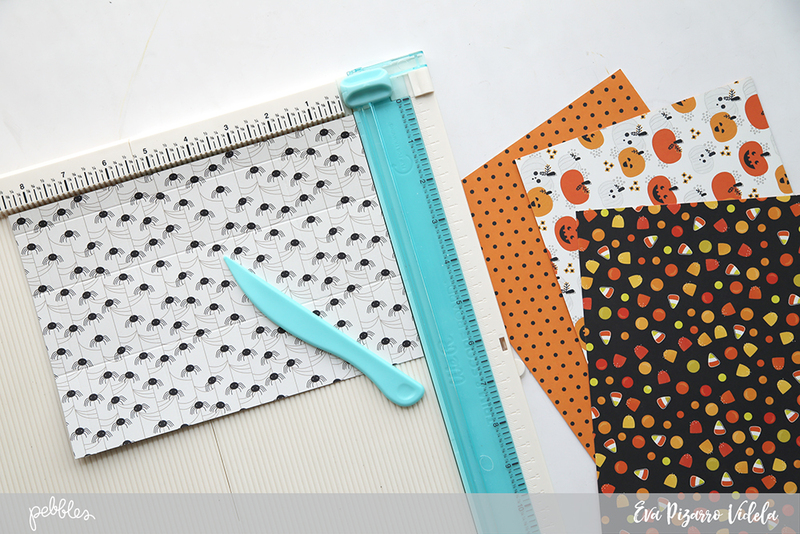 Don’t worry if you’re not ready to pull out your sewing machine – you can just glue the sides together with strong adhesive if you want! Now that the pocket portion is complete, it’s time to embellish!! 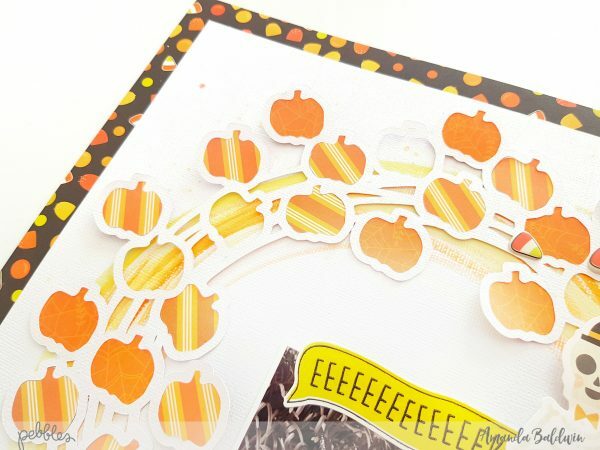 I chose to use various printed die cuts, stickers, 3×4 cards, and ribbon! Of course you can embellish as much or as little as you like! I started by tying ribbon through the top of the tag. 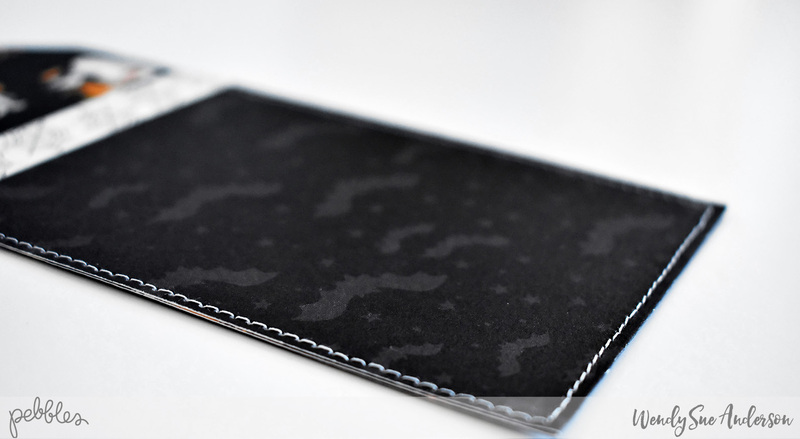 Next, I placed the 3×4 card (slightly trimmed) over the pocket portion. 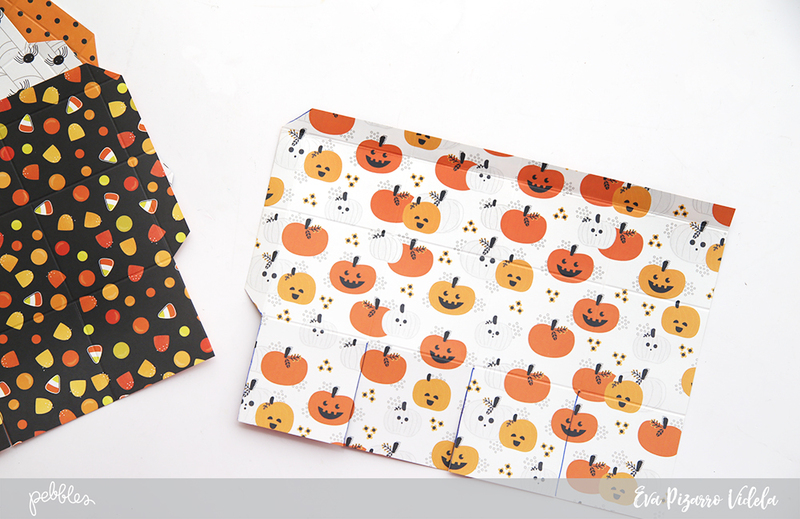 Next, I added the cute witch die-cut. 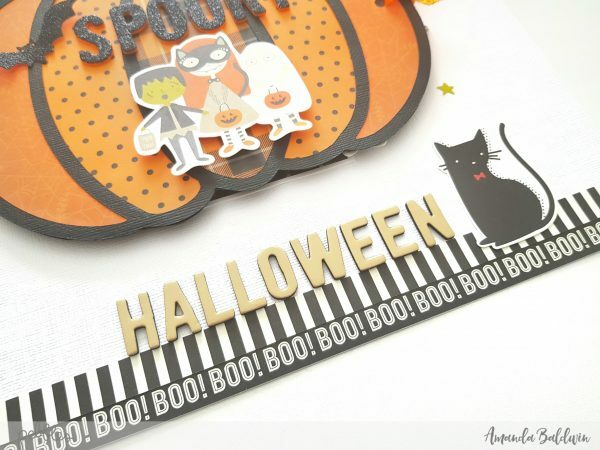 Finally, I used foam adhesive squares to add the “boo” printed die-cut. Now it’s time to fill ‘er up! 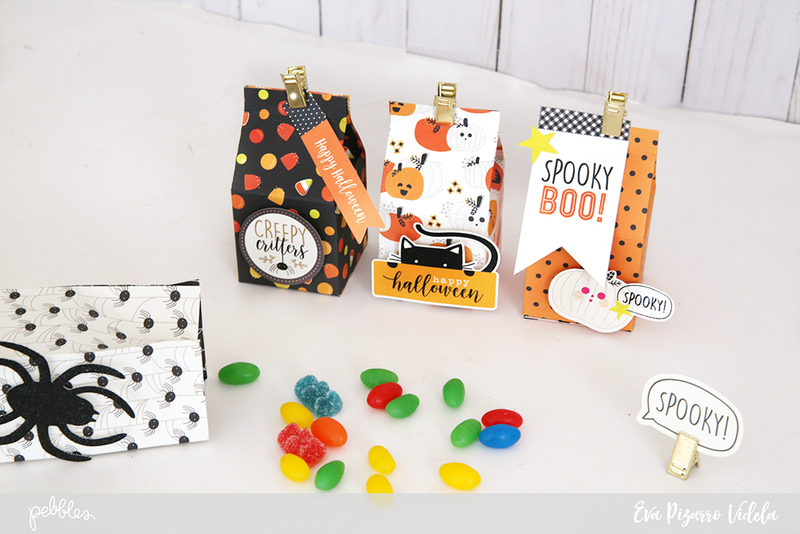 Since I’m making some of these for my co-workers I opted for some flavored water packets…but of course, I had to embellish them a little bit with these cute puffy stickers! 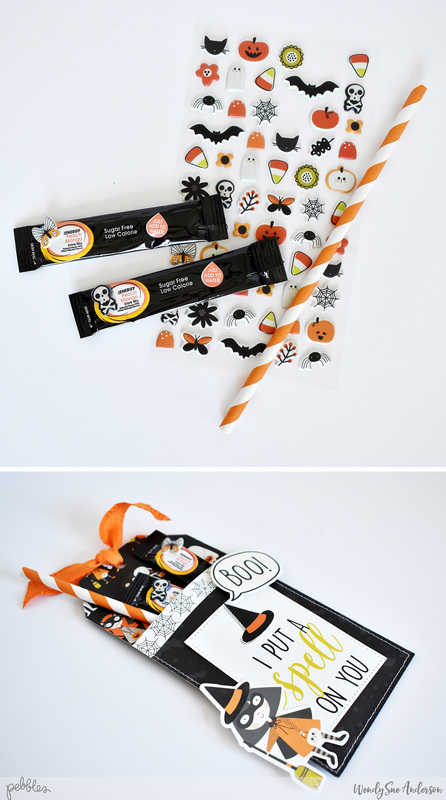 See how perfectly they can be tucked into the treat pocket – with a cute paper straw just for fun, of course! If you prefer to give a delicious chocolate treat, that’s an option too!! 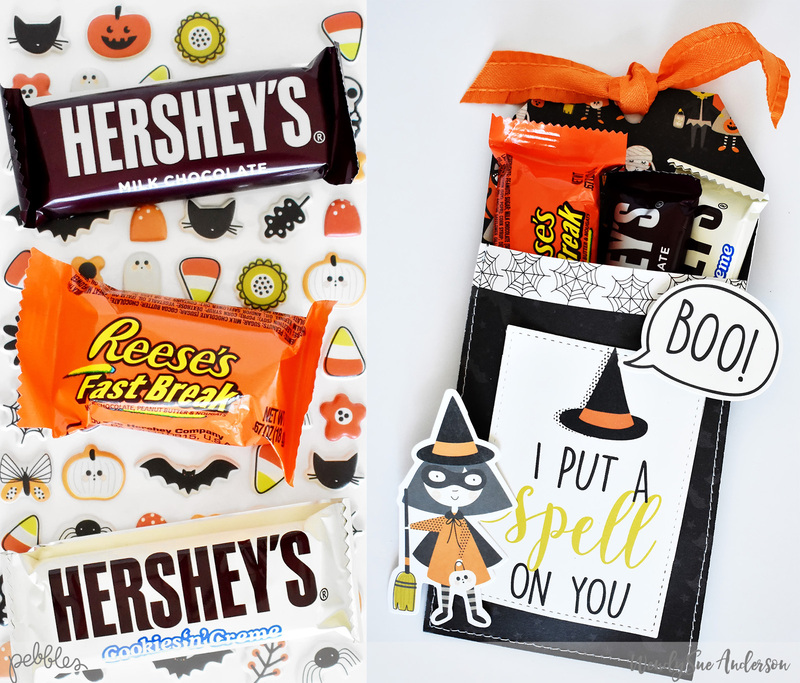 These treat pockets are so quick and easy, it would be easy to whip up a batch for your co-workers, neighbors, students, or even for your kids’ entire class! Seriously, they are that easy! What do you think? 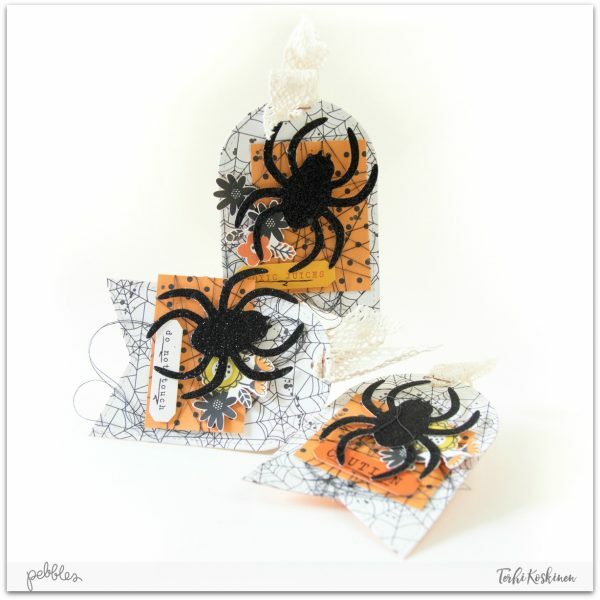 Do you want to give these Halloween Pocket Treat Tags a try? Be sure to share a link or tag us when you share yours!